It’s well known that the warehouse layout is important for maximum efficiency. It can be tricky when it comes to obtaining that maximum efficiency, however. Luckily, design logistics help your warehouse reach that efficiency by guiding you towards important layout basics. Not familiar with design logistics? Don’t worry, we’ll explain the basics to you here. And when you’re ready to implement these changes, or design your new warehouse layout, contact S.W. Betz to put your design in place and help you achieve a smooth-flowing warehouse. There are special considerations for floor plans in regards to a warehouse layout, mainly because of the many operations within a warehouse. You want to have designated areas for shipping, receiving, storage, and employee comfort (coffee maker, fridge, etc.). Design logistics for floor plans involves making sure all of these designated areas are in the best locations of the warehouse to increase efficiency. One of the main functions of a warehouse is storage. If set up without design logistics in mind, you may not be getting full storage capacity out of your warehouse layout. 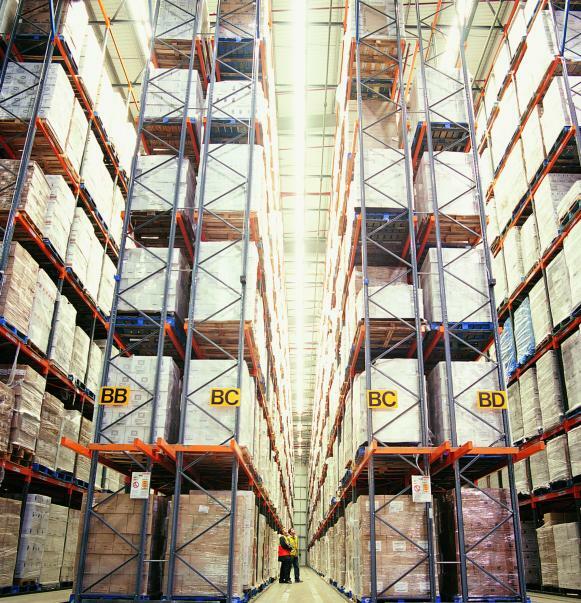 Equipment such as shelves, racking, and mezzanines all have specific functions for storage. You should use a combination of equipment depending on your warehouse dimensions to make the most out of your storage space. Making sure there’s enough space for workers, equipment and products to move and work freely is also very important. Areas that typically don’t have enough space, and therefore suffer in efficiency, are the shipping/receiving areas and aisles. If workers and equipment (such as pallet jacks) can’t access these areas freely due to obstructions, or there isn’t enough space to move at a normal pace, it will negatively affect efficiency. This entry was posted on Wednesday, November 25th, 2015 at 9:14 pm. Both comments and pings are currently closed.